A.G. Cars and Marine Co., Ltd.
A.G. Cars and Marine Co.,Ltd. Authorised dealer for Cranchi yachts, Thailand. Luxury yachts sale & charter, 24-hours service team. Asap Marine Trading Co., Ltd.
Yacht Chandlery specialising in Electrical, Electronic and Plumbing related products. More than 9 years of experience in Thailand with a yes-we-can approach to any problem. Boat Lagoon Yachting is one of Asia’s largest and most reputable yacht importation, distribution, and after-sales service organisations, representing some of the world’s most prestigious yacht brands. 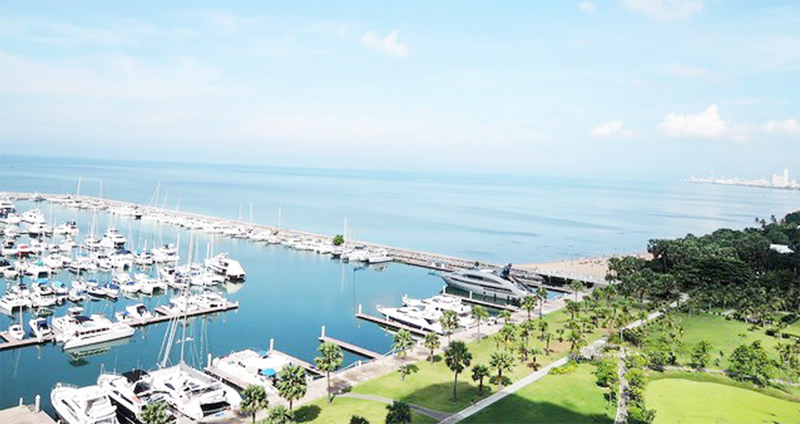 Buzzcats (Thailand) Co. Ltd. Is a Yacht Service Company specialising in QBE Marine and Commercial Insurance, Temporary Import services for visiting yachts, Thai Registration, Immigration, Marine and Customs services. The company also represents Pinnacle Marine the Thai distributor for Elan and Impression by Elan sailing yachts, and Monterey Power Boats. We also specialise in Regatta management and Marine Leisure Consultancy. Cross To Yachting Co., Ltd.
X2 Yachting operates its own fleet of fully crewed luxury yachts from its base location at Ocean Marina Yacht Club. It offers half day, full day, sunset, overnight and multi-day island cruises. Established 2010, Gold Coast Ships has combined experience in aluminium shipbuilding. Gold Coast Ships Ltd is a Thailand Board Of Investment approved and registered company, and also works with the Australian Trade Commission. High Technology Yacht Service Co.,Ltd. Welcome to Hull, the marine engines and control systems specialist based in Pattaya. We supply the world’s renowned brands on marine engines and electronics engine control with technical know-how and full-scale after sales service and support in response to our customers’ needs. M.D.W. Marine Asia CO., Ltd.
MDW Marine is the Exclusive and Authorized Distributor for some of the world’s leading brands and offers a Full Turnkey Service in the kingdom of Thailand an throughout South East Asia. Marine Certification proud to introduce ourselves of Yacht Care for cleaning & management, Anti-fouling & Copper coat, Gel coat Polishing & Restoration, Customs & Immigration Assistance, Boat documentation, Marine Services including Boat sales at Ocean Marina. Pattaya Yacht Charter Co., Ltd.
Pattaya Yacht Charters is the number one charter company in Pattaya offering a variety vessels from our diverse luxury fleet to take you on a journey of discovery around the beautiful islands of the Pattaya Archipelago whilst allowing you to take part in a number of activities including swimming, snorkeling and fishing along with Scuba diving plus other water based activities too. Rocket Product International Co., Ltd.
Route 66 Motorcycles Co., Ltd.
Yacht Charters & Harley Davidson Bike Rentals Harley Davidson, Route 66 Motorcycles, Yacht Charters. Exclusive Yacht Charters with VIP Packages & Harley Davidson Bike Rentals. Russian Adventures (Th) Co., Ltd.
IYT Crew/Skipper/VHF International Certificates – Learn in Thailand, Sail the World! Samran Marine & Service Co.,Ltd. We produce high performance aluminium vessels constructed to international standards by our highly trained and experienced construction team. Sea Speed Pty Ltd, designs steel and aluminium catamarans from 6 to 60 metres for pleasure and commercial use. With over 30 years of experience, Simpson Marine represents some of Europe’s and the United States’most prestigious yacht brands and takes care of customers in all aspects or yacht purchase and ownership.